Angus Gunn, farmer of Winless, died 21st March 1883 aged 77. Wife Annie Christie died 3rd July 1876 aged 76. 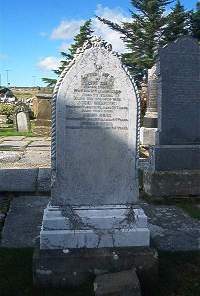 Son Angus Gunn died 12th July 1890 aged 44. Son Donald Gunn died 1st July 1902 aged 64.